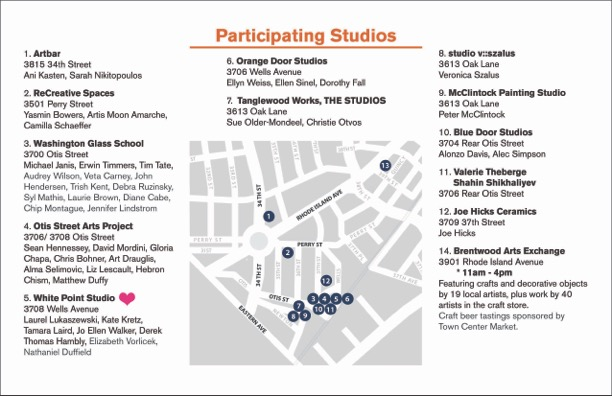 The artist studios around the Washington Glass School are also open - Artbar, ReCreative Spaces, Otis Street Arts, Project, White Point Studio, Orange Door Studios, Tanglewood Works, Blue Door Studios, and more. Nearby Brentwood Arts Exchange has their craft store and will have specialty beer tastings. Don't miss Alma Selimovic's new work at next door's Otis Studio, and of course, see the work by Mordini and Hennessey there as well!